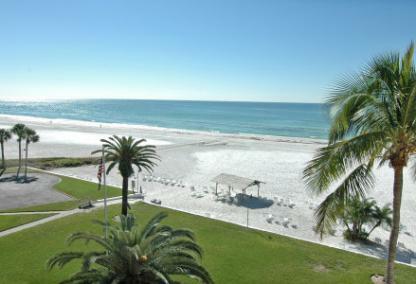 The Jamaica Royale Condominium is a true beachfront gem in the heart of Siesta Key. This island treasure sits poised on some of the most sought after sand in the world. Cresent Beach is consistently ranked among the world’s best. Enjoy breathtaking views from your private balcony and stunning sunsets over the azure Gulf of Mexico waters. A large property, Jamaica Royal makes it easy for residents to indulge in the tropical lifestyle, with amenities scattered throughout the property. There are the three heated pools, strategically placed on the grounds providing easy access for all. Residents and guests enjoy a community room, three lighted shuffleboards, lush tropical landscape, grilling areas, beachfront Tiki Huts and private beach area. Construction began in 1960 on this development, home to 175 residences consisting of a combination of high-rise towers and apartment-style villas. There are many floor plans to choose from offering a wide range of square footage from a modest 700-1,300 square feet in size. Investors love the variety of accommodations, which include studios, one and two-bedroom layouts, as well as spacious penthouse units for even more living space. The one-week minimum stay and vacation rental program add to the appeal for investors as the income potential is immense. 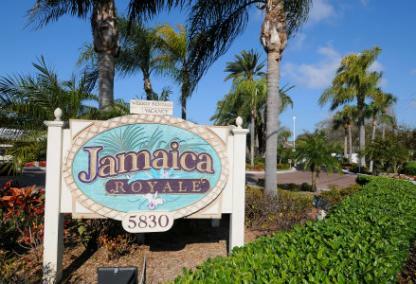 Jamaica Royal provides an superb experience for residents and guests with its location next to Siesta Key Beach, ranked Americas’ number one beach for its unparalleled beauty and powdery white sand. The public beach offers many amenities as well, including lighted tennis courts, a playground, concession stands, sand volleyball courts, lifeguards, and one will not forget the experience of a Sunday night drum circle. People from around the world flock to this beach for its natural brilliance as well as it popular sandcastle competition and volleyball championships. Watersport enthusiasts have a vast selection of activities including snorkeling at the nearby Point of Rocks, a coral formation home to a fantastic array of tropical underwater life. In addition, residents and visitors have access to boat rentals, bicycles, paddle boards, jet skis, and parasailing, to name only a few. A little further down the street is the Siesta Key Village, and Crescent Village Shops, full of island restaurants with a collection of casual and elegant dining options, as well as a variety of boutiques. Centrally located Jamaica Royal grants easy access to both bridges connecting this barrier-island to the mainland. Within a short twenty-minute drive, residents and guests can experience downtown Sarasota, St. Armand’s Circle, Lido Key, and Longboat Key. These popular areas provide and abundance of exquisite cuisine, shopping, beaches and some of the best golf imaginable. 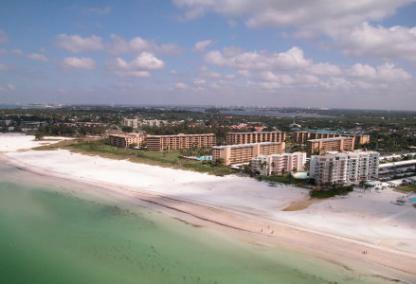 If you have any questions or want to set up a tour of Siesta Key condos, please call us at (941) 544-6467 or send us an email below.